after a 25 year storage/ house moves etc. .. I find or rather don't find during my rebuild .. my original two speedsport rims with 195/60 HR13 radials! 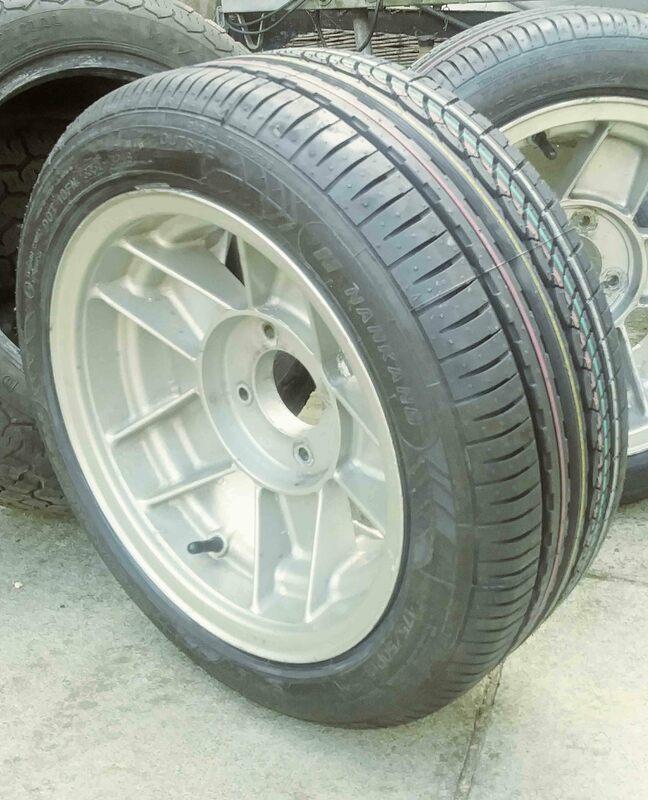 I replaced them with 145 R12 tyres on rims in order to get through the MOT as the wide tyres touched the petrol tank fibreglass housing body on full lock. So .. now need to replace whole lot! Any suggestions for safe, good, stylish yet not too expensive replacements? ATS? I like them, any pictures of the car with them fitted? Not yet. New radiator being plumbed in next. , then the petrol tanks. Body and paintwork..aim to finish by end of july! 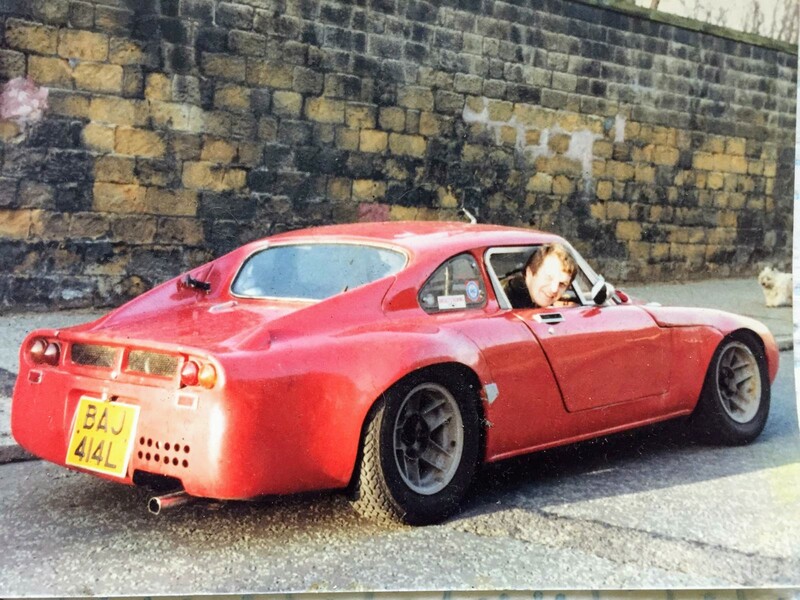 Just remembered.. an old photo .. same wheels but the bigger tyres! You bringing it to Thruxton in June? Aiming for Imp National at Preston in July! Hopefully. Doesn't matter if it's not ready. Just be good to see another Davrian at the event. Mine still won't be finished. Hi Blade.. just backtracked to see your epic journey with your Mk5! Excellent paint job. I'm afraid my savings pot is running low now..will be painting myself using Epifanes two part epoxy paints and roller/tip method. Don't think it will be anywhere near as good as your paint job though! It's taken over 28 years so far! Boyhood dream an all that. Still lots to do as I said. Just trying to drum up interest for the meet at Thruxton.